The Tarot card for today is Strength. 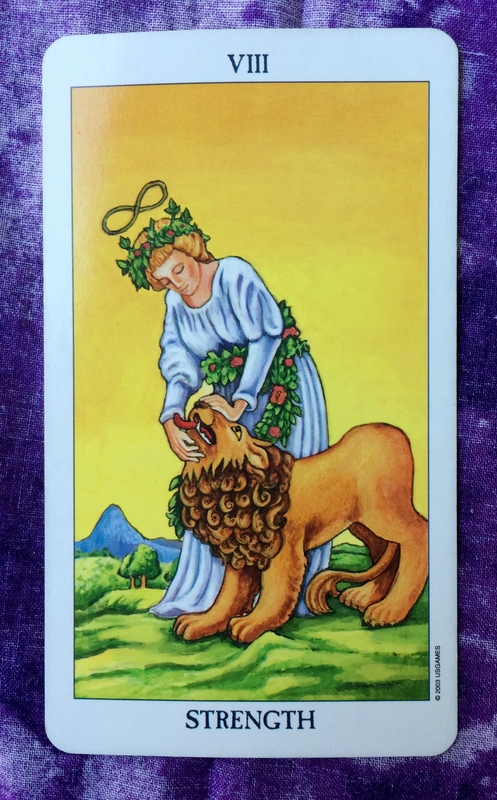 The Strength card is associated with the zodiac sign Leo. Interestingly, we are approaching the third and final eclipse of the season on August 11th. It will be a partial solar eclipse in the sign of Leo. With this eclipse, we may be guided to reevaluate our habits and rigid ways of thinking. As we deal with these challenges in our lives, the Strength card is a reminder to handle these situations with kindness and compassion, not force. 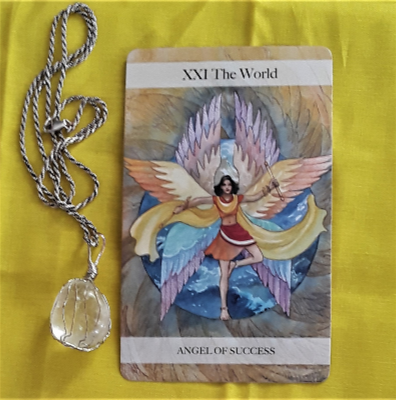 In my view, the Strength card represents us taming our own animal instinct to handle unfamiliar situations with aggression or emotional biolence. The goal is to be gentle with yourself, to accept that you have uncomfortable emotions and to deal with them without shame or guilt. You have a right to feel the way you feel, so take the time to process your emotions.. Take the steps you need to take toward healthy, loving solutions. It’s all about self care and self love.